Welcome to Flora's Cafe, enjoy the tea! Rare Worns Return to Jamaa! 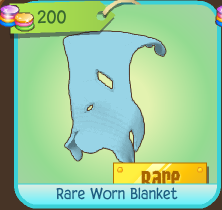 This weeks Rare item monday is a BABY BLUE RARE WORN! Worns will be seen all over Jamaa, on member and non members. You can purchase your worn only today for 200 gems! « Check Out Flora’s Real Cafe! I am a lover of video games, art, the outdoors, and creativity. Follow my blog and subscribe to my youtube channel here: https://www.youtube.com/user/RaspberrySprinkles1 for more geeky fun!